Rigid evedence that umbrella shaped parachutes were used as entertainment in China in the twelfh centery. 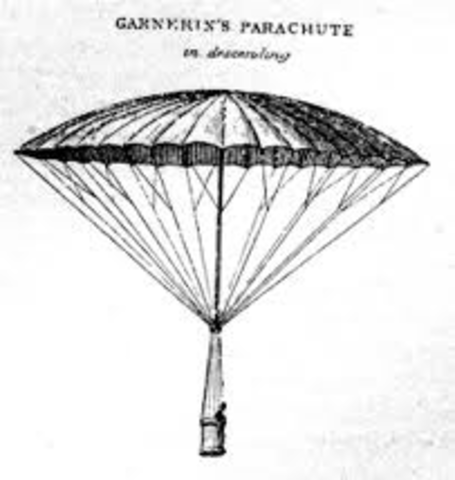 The first recorded disign of the parachute was drawn by Leonardo Da Vinchi. It was a pyramid shape with a wooden square frame. Used so people could escape a burning building. Built his parachute from the idea of Leanardo da Vinchi's drawing. 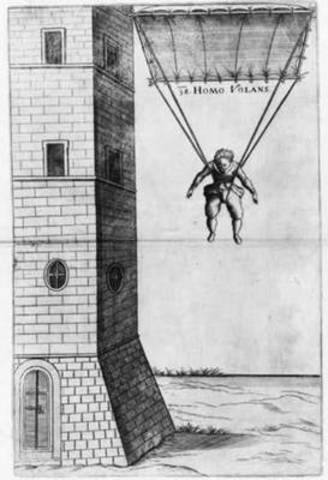 Croatian jumped from a Venice tower wearing a rigid- framed parachute. Published a work novel of 56 ways to construct a parachute. Sebastien Lenormend who demonstrated how the parachute worked to a group of people. He named his parachute the homo rolands. 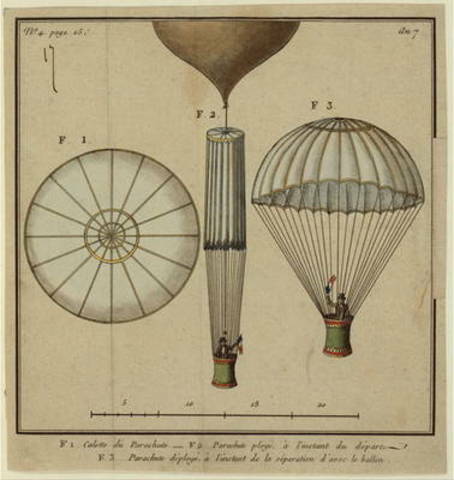 In 1837, Robert Cocking was the first to be killed in a parachute accident. 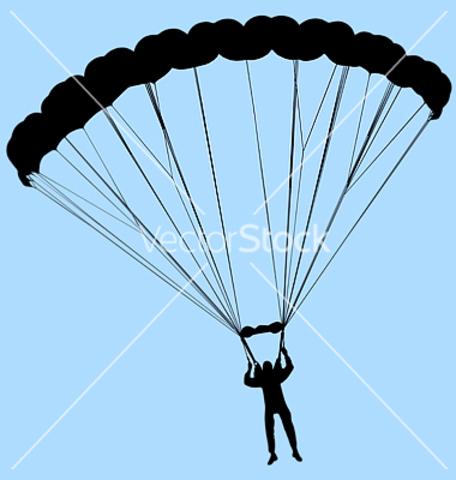 in 1887, Captain Tohmas Baldwin invented the first parachute harness. It was to be worn befor the parachute was deployed. These two invented the method of folding or packing a parachute into a backpack to be worn befor it is realeased. Kathchen Paulus was also behind this international break throuugh, wich is the on were a small parachute opens and pulls the main one out. The company first manufactured items such as leather hampers, golf bags, coal bags, pork roll casings, and postal mail bags. However, Switlik soon switched to making pilot and gunner belts, designing flight clothing, and experimenting with parachutes. The company was soon renamed the Switlik Parachute & Equipment Company. The inventor most credited with refining the concept behind a modern, multi-celled, rectangular, gliding parafoil was Domina Jalbert, who patented his parafoil disign in 1966. 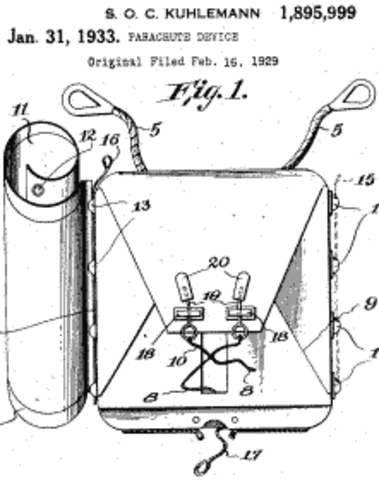 Although other inventors experimented with gliding parachute designs before and after Jalbert, his parafoil was essentially the key to modern "ram air" parachute design, and the beginning of a new era in sport parachuting. By the late 1970s, ram air parachutes were rapidly displacing round parachutes.